I'm heading to Dallas! It's going to be quite a travel day for me... My Uber is scheduled to pick me up around 9:15/9:30 from my dorm and take me all the way to the Philadelphia Airport, about an hour and a half away. Gonna be quite a long ride... But, I couldn't take the bus because I need to be at the airport early on a day like today. Did you know that Thanksgiving is the most traveled holiday of the year? Today is one of the busiest days at the airport year in and year out, and Philly is quite a hub for travelers being such a bigger international airport. I'll probably get to the airport around 11, and then my flight isn't until a few hours later. Oh, it'll be quite the experience getting to Dallas, I'm sure! 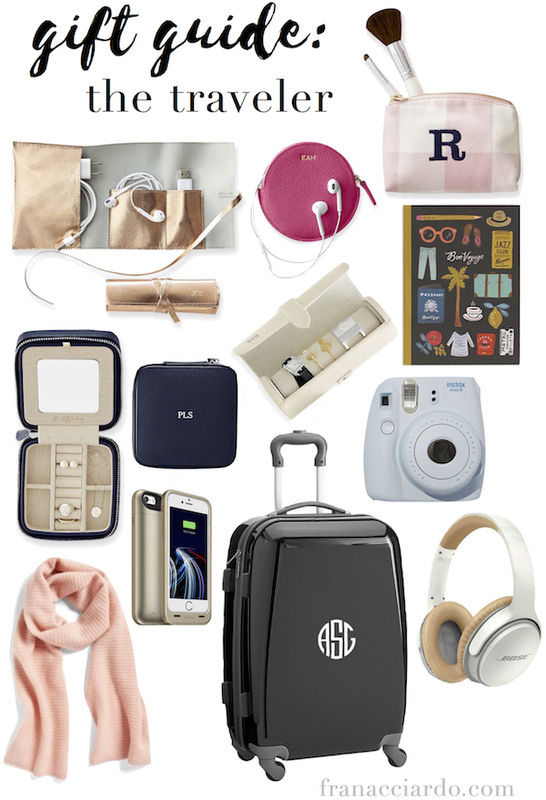 In lieu of my day of traveling, I've compiled gift guide #2 for this season, which includes a few essentials for any traveler, and a few things that would be just really nice to have. I have a really similar pair of headphones (mine are the beats, which I shamelessly stole from Jack), but my Dad has a pair of Bose headphones as shown above, and swears by them. Really any pair of noise-cancelling and wireless headphones are ideal for travel... block out all of the extra cabin noise on the plane or people chatting in the car when you're road tripping! But, if you keep an extra pair of earbuds on hand like I do, I think this headphone case or cord organizer would really be a nice thing to have! I especially love the thought of using the cord organizer to keep my phone charger, laptop charger, earbuds, etc. all detangled in my giant tote. Safe travels to anyone else at the airport today! Safe travels to Dallas! Enjoy your time off.